Election periods are known to be exploited as avenues to peddle fake news—usually aimed at discrediting opponents and discouraging the electorate from voting for them. In the buildup to the July 14 gubernatorial election in Ekiti state, a lot of false campaigns have surfaced on social media, with Kayode Fayemi, candidate of the All Progressives Congress (APC), often being the subject of discourse. The APC, initially, had held an inconclusive primary. The party, however, had a re-run on May 12 which saw Fayemi emerge winner, with Segun Oni coming second. The PDP, on the other hand, produced Kolapo Olusola, the incumbent deputy governor of the state, as the party’s flagbearer in its primary held on May 8. The Ekiti state poll is not soared from this social vice that has become a tradition, as it has had its fair share of “fake news”. On Monday, there were reports that Jide Awe, APC chairman in Ekiti, had resigned his position. Awe was said to have cited irreconcilable difference between him and Fayemi as the reason for his move. “Consequent upon irreconcilable difference between my good self and our party’s governorship candidate, Dr. Kayode Fayemi, I wish to notify the general public, especially the teeming members and supporters of the APC in Ekiti state that I have resigned my position as the State Chairman with effect from 30th June 2018,” Awe was alleged to have said in a statement. This, however, turned out to be untrue as Awe denied the rumour. “Fake, fake fake. I am leading campaign for my party and we are going to Ikere, Emure and Ise-Orun tomorrow,” Awe said when TheCable contacted him. During the APC primary election in the state, however, some protesters including about 11 APC local government area chairmen, had called on Awe and his executives to step down for a caretaker committee. “We discovered that there has been lot of infractions on the part of Jide Awe led secretariat of the party,” one of the chairmen had told TheCable. Fake news begets fake news. A day after Awe’s purported resignation, another rumour of Fayemi pleading with the chairman to withdraw his resignation also popped up. Fayemi was alleged to have called on Adams Oshiomhole, the national chairman of the APC, to intervene in the issue. “Most importantly, it appears that the chairman himself was not willing to quit. He only used the resignation as a threat to get his due recognition and I thing he is getting that now,” Oshiomhole was quoted to have said. TheCable found this to be untrue. In the first place, Awe never resigned. At a rally in Ekiti on June 19, Fayemi’s convoy was alleged to have knocked down and killed a policeman. The deceased, identified as Kayode Gabriel of the State Intelligence Bureau (SIB), was said to be due for promotion to the rank of assistant superintendent of police (ASP) the week after his demise. However, the state police command refuted the claim. The command said the convoy of Vice-President Yemi Osinbajo and Fayemi came in through the Ikere axis of the state capital around 12pm, while the incident involving the policemen occurred around 9am. Wole Olujobi, director, media and publicity for Fayemi’s campaign group also responded. “Officers at SIB Department of the State Police Command confirmed that the affected officer was knocked down by a boy who was driving his father’s car at a high speed and in the process hit the officer,” Olujobi said in a statement. Opeyemi Bamidele, former member of the house of representatives, suffered gunshot injuries during the campaign trail of Fayemi. The incident occurred on June 1 at the party secretariat in Ajilosun area of Ado-Ekiti, the state capital. The ex-lawmaker was subsequently taken to Ekiti State Teaching Hospital (EKSUTH) from where he was flown to Lagos due to “gross dearth of equipment and personnel at EKSUTH”. However, reports emerged days later that Bamidele had been flown to the UK for “post-surgery management”, in a private jet reportedly owned by Bola Tinubu, a national leader of the APC. But Fayemi, on June 10, named Bamidele as the director for his campaign group, while denouncing the rumour that he had been flown abroad. “I wish to inform all journalists in Ekiti that my friend, Mr Bamidele Opeyemi, is in good condition’ he is still in Nigeria contrary to the stories that was published in some of the newspapers that he has travelled abroad,” Fayemi had said. Awe had claimed “Fayemi was the target” of the shooting carried out by a uniformed man. An “originating summons” sent to TheCable alleged that Segun Oni, a governorship aspirant of the APC in Ekiti, filed a case at a federal high court in Abuja challenge the emergence of Fayemi, as the party’s flagbearer. Fayemi, polled a total of 941 votes, defeating Oni, his closest rival, by a margin of over 460 votes. Oni was reported to have filed the suit over the legality of Fayemi’s action of contesting the election while he remained as a serving minister to the federal government. He also purportedly asked the court to determine if Fayemi’s action did not violate the Nigerian constitution and the guidelines of the ruling party primary. Fayemi resigned on May 30, 17 days after he won the party’s primaries. However, Oni has denied the suit purportedly filed on his behalf by Gani Faniyi, a lawyer. 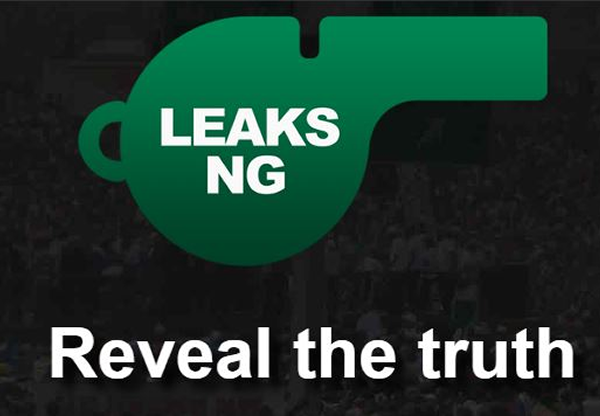 The “originating summons” have now been traced to agents of the PDP in the state. Fayemi is alleged to have bought a property worth N1.2 billion in Ikeja, Lagos. He reportedly bought the “mansion” located at Tayo Ayeni street from Tayo Ayeni, chairman of Skymit Motors. The report claims Fayemi bought the property from funds he received from friends of President Muhammadu Buhari to aid his governorship campaign. He was reportedly given N2 billion and another $5 million from the said friends. “The Minister was seen driving into the palatial house at exactly 5.56pm on Friday, May 18, 2018 with his security aides. He wore a black kaftan with his trademark cap,” the report read. There is no evidence to buttress this claim. With the election just weeks ahead, mischief makers are likely to intensify this act.